According to his sister he always wanted to be a pilot when he grew up and told her and his family and pretty well everyone how much he wanted to fly a big plane, his sketch book was full of drawings of all kinds of aircraft. Of course, that was when my Uncle Vince was growing up and just a kid with big dreams like a lot of kids growing up in Scarborough during the 1920’s . Vincent Alton Francis Cleveland was born September 06 1921 and raised near Pharmacy and Danforth, in Toronto on a street named Elba with his sister and three brothers who all served in WWII as well. 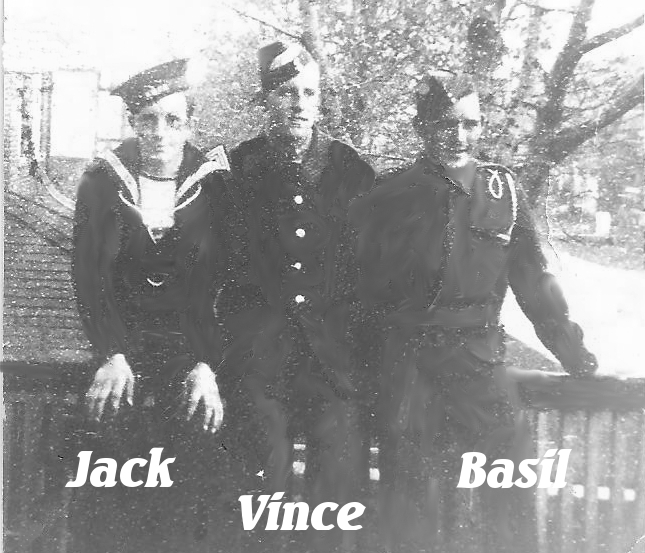 There was Cyril with the Royal Canadian Navy Volunteer Reserve, Basil with the R.C.M.C and John who also liked the sea as well and was in patrolling the Atlantic with The R.C.N.V.R . Cannot forget his sister Catherine( my future Nanny) and his younger brother Gordon who was 12 when Vince went overseas with the RCAF . They all went to public school at St. Dunstan's on Pharmacy then off to high school at old Scarborough Collegiate on Kingston Road now known as R H King Academy where Vince loved to play and excelled in sports like hockey, baseball and rugby. In 1938-39 and after three years at school Vince left at 17 and got a job at Sturgeons Ltd over on Carlaw Avenue in Toronto to help supplement the family income as his father ( Eugene Fitch Cleveland) died at the ripe old age of 31 from the complications of Bacterial endocarditis from the results of a gunshot blast he received at the battle of Somme some 20 years earlier and that was a contributing factor, but apparently around January 1925 Vince’s father was working as a Stationary Engineer/Steam Fitter in construction and somehow was involved in an accident at work ( blasting caps) and lost some of his right hand and later died of single endocarditis at Toronto General leaving my Great Grandmother a widow with 5 kids. With word getting around that there is going to be a another world war and that our government were offering the chance to learn how to fly, Vince couldn’t wait to sign up . So, he and his brothers and friends from all over the Oakridge’s neighbourhood of the Danforth couldn’t wait to join the war effort like the rest of Canada. 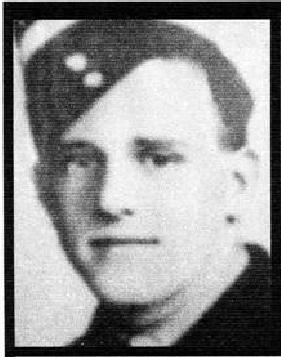 February 21st 1941 Vince enlisted in Hamilton with the RCAF to hopefully, fulfill his dreams of becoming a pilot and someday fly commercially when his tour of duty is over but, before Vince was to officially join the forces he would have to pass the Dominion Provincial Training College course . One year later at 19 years old Vince would graduate his mandatory practical training on February 19th (he would also receive his Dominion marksmen button for rifle shooting ) and then a couple days later went right back to fill out his Attestation papers at the #10 recruiting centre in Hamilton on February 21st 1942. Starting out with the other recruits as an AC2 he would report to No.1 Manning Depot, in Toronto on July 1st 1942 and where most of the men would get to camp out in the various horse stalls throughout the C.N.E grounds. After 35 hours of test flying in Avro Anson’s and Fairly Battle`s out of No.1 E.F.T.S. at Malton .Then posted out to Saskatchewan to finish his Air Bombers training at No.5 B.G.S. at Dafoe, in course number 62B with a passing mark 78.8% average and a total character and leadership assessment mark of 83% in the late summer of August 1942. Vince would complete his training at No.#5 B.G.S school at Dafoe Saskatchewan on the 3rd November 1942. Vince left for the U.K from Halifax harbour on January 5th 1943 and arrived on British soil on the 12th and then reported to No.3 P.R.C at Bournemouth the next day and was involved in more training at the No. 23 O.T.U . Where he was admitted to the hospital on the 4th of March suffering from nasopharyngitis ( common cold/flu with a high temperature) being discharged on March 7th to finish his training with his crewmates at No.1659 Conversion Unit learning what it was like to fly a big four engine bomber like the Halifax II and Lancaster's. 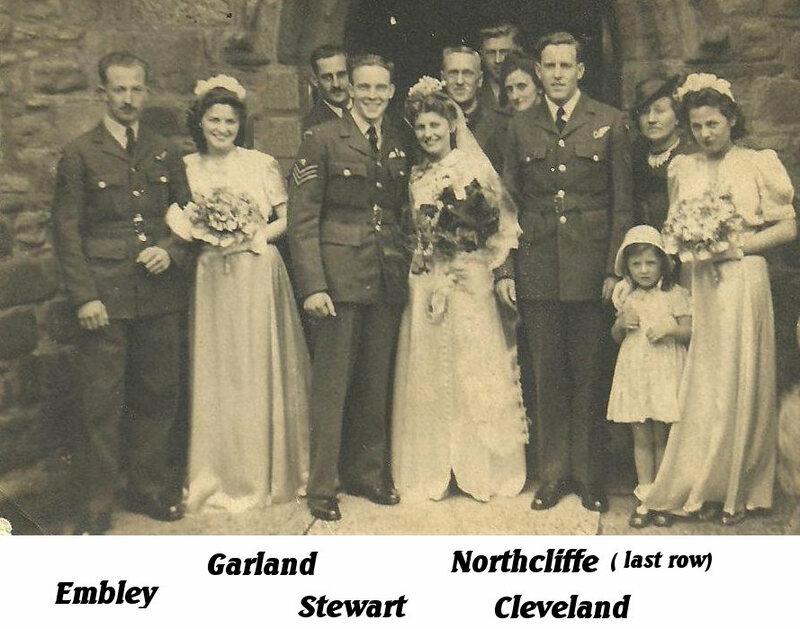 On June 5th of ‘43 before reporting to the 419th the crew attended the wedding of Sgt. Stewart and Uncle Vince was his best man. Vince along with his new crew were posted to 419 squadron, one of many RCAF squadrons assigned to the recently formed No.6 Bomber Group (Canadian). The 419 was made up of mostly Canadian airmen and stationed at Middleton St George where they would report for flying duties July 6th 1943. On July 25/26 the crew Sgt. R. Stewart 22 ,Pilot 22, Bomb-Aimer F/Sgt. Vincent Alton Francis Cleveland 22, Flight Eng. Sgt. H.R. Tenney RAF 25, Wireless Op/AG Sgt.A, Embley 23, Rear -Gunner Sgt. H. A. D. Garland. 21, Navigator P/O S. E. James 19 and 2nd Gunner Sgt. Leonard Northcliffe 23. They would fly out and return on their first mission together to bomb Essen, Germany in their Halifax II # JD 270 . The next night the 27th/28th the boys were off to Hamburg in Halifax # DT 789 and soon flew into very heavy flak catching fire to one of their engines and almost depleting their hydraulics after extinguishing the fire then disposing their bomb load they safely returned to base a little bit rattled to the nights events. After a restless night’s sleep the crew was back up in the air again the next night this time over Hamburg in Halifax II # DT 798 . Over the next few days the crew had some time off but was back in the air August 9/10th in a Halifax #JD 163 the mission on this night was to bomb Mannheim and there wasn’t much time to rest as the crew were scheduled to target Nuremburg the following night, both were completed successfully. The men were off to bomb the City of Milan on the night of August 12/13th with a good night of visibility the run was deemed successful and the crew were back at 745 in the morning After a couple days off the crew were back at it again in Halifax II #JD 459 this time the target was of high priority as it was the Germans prize rocket base the V-2 at Peenemunde the raid was very successful but the boys had to land at Stradenhall then were driven back to Mildenhall to complete the flying report and to have some post flight tea, rum and cake. After taking off the night of the 22nd Sgt. Stewart had to fly back to base for various reasons and were unable to join the rest of the 15 planes en route to bomb Leverkusen. On August 23/24th the team took off to bomb Berlin in #JD 459 but, were lucky to make it back to base after arriving on target over 5 minutes late due to ice build up on the wings their plane was an easy target but somehow got out alive. The night of August 28th the mission was to bomb Nuremburg and that they did in the Halifax II #JD 464 .The boys were feeling real confident and were happy with the nights work and were considered to have a successful run when arrived back at home base at 550 am on the morning of the 29th Another day off was followed by another night in the air and on August 31st/September 1st 1943 the crew were happy to be going back up again in their faithful kite JD464 on their way to help destroy the city of Berlin with a full bomb load, the crew took off at 19:52 and soon realized the night was lit up with string parachute flares which along with the massive searchlights and ack-ack guns their flight was rough right from the get go, the crew dropped most of the payload on target and were headed home when out of nowhere two Ju-88’s jumped their aircraft and started blasting at the tail end right where R/G Sgt. Garland was and next thing Garland could be heard screaming to the skipper to take evasive action but , the Captain was too late and before they knew it 3 engines were on fire and were they were headed to earth in a tailspin . Knowing his crew was in danger and his plane on fire Sgt. Stewart tried to keep the Halifax as level and steady as he could and with the help from his best man Sgt. Vincent Cleveland they waited to everyone was off the plane and before they could escape but, the ground was coming into view very quickly and with only seconds to spare the two best friends tried to land the big bird but to no avail, it crashed into the western edge of the Black Forest near the town of Magdeburg in a massive explosion. After trying to talk to Embley on the way down Sgt. Garland was starting to lose his grip on the back of his pals chute and the grip he had around his waist became loose and at about 2,500 feet Garland fell to the ground and all Sgt. Embley could do is land and hopefully find his friend alive but, in the darkness and now on enemy soil a few frantic minutes turned in to hours and with no luck finding Garland. Sgt. Embley was captured and taken prisoner of war along with Sgt. Tenney and James and Sgt. Northcliffe the surviving crew would wait out the remainder of the war in various POW camps except for Sgt.Tenney he would later trade ID’S with a fellow POW by the name of Tom Barker. As for my Uncle Vince and his pal F/O Stewart they would never be found and have no known graves. One thing for sure is My Uncle Vince’s dream of flying came true and to this day anytime I hear a plane I think of him and know the sacrifice he made at the same age my son is now... 22.